Whether we know it or not, we Black American women are more likely to be infected with HIV than any other women. And, we are more than twice as likely to be newly infected than Black men. Southern Black Ladies are at even more risk! These days we do have more options. Truvada – the drug that treats HIV/AIDS – also works for prevention. Taken daily at a lower dose, healthy people can avoid contracting HIV. It’s a pre-exposure prophylaxis or PrEP. But, Truvada PrEP isn’t well known among us, and many primary care providers like obgyns aren’t that familiar with the drug either. Although PrEP was rolled out in 2012, it hasn’t caught on for a lot of reasons, especially among “us.” Well, U.S. public health officials and non-profits are out to change this. They’re on a mission to bring ads to communities, especially to African-American women, across the country. A big challenge is not a lot of Black women are into taking a pill every day to prevent a disease they could prevent by keeping their pocket book closed or making their man wrap it up. 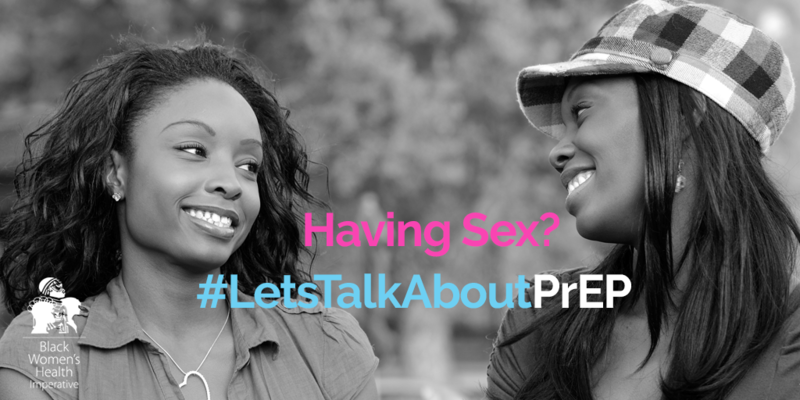 But, PrEP is particularly appropriate for women who have infected partners – or men who refuse to wear condoms. You need to know your HIV status though, which means getting tested regularly. Having PrEP as an option makes getting tested and insisting your partner get tested regularly a little easier. A little easier… right? Not always an easy conversation to have but a necessary one. 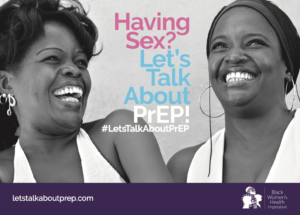 New York City’s PrEP campaign came out over a year ago under the name “Play Sure,” aimed at the general at-risk population. The results are still being reviewed. But, it is clear African-Americans aren’t using PrEP as much as their White and Latino counterparts. The Black Women’s Health Initiative – the only organization dedicated to improving the lives and health of the U.S.’s 21 million Black women and girls – rolled out their campaign. A big message of theirs is 1 in 32 Black women will become infected with HIV. Articles in newspapers are showing up in old school Black press like the L.A. Sentinel and elsewhere, targeting Black women. As we roll into 2017, let’s take time to reflect and determine how we will make the new year AIDS free. This is such important information to have and share! A drug that can PREVENT HIV? Why have I never heard of this before? I truly hope this advertising campaign helps spread the word. Thank you, SuzyKnew!, for sharing this!